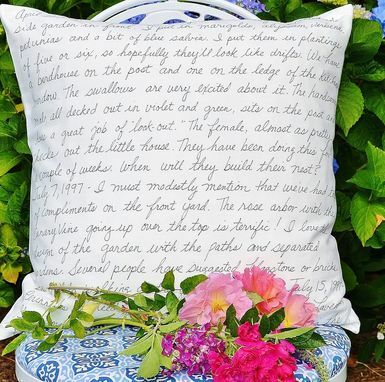 The words on this pillow are taken directly from my mother's journal. As a gift for family members, our mothers words, written after a long day working in her beloved garden reflect her love of nature. Often journals are kept tucked away. This pillow is a perfect example of how lovely it can be to share the simple memories of loved ones every day.